I recently had the privilege of hosting an exclusive just-style webinar with Lena Lim, Chief Commercial Officer of 3D apparel solutions provider, Browzwear, and Will Yester, Senior Manager at the global consulting firm, Kalypso. Our discussion highlighted how 3D Design and the Voice of the Customer (VoC) can drive speed to market and product success. Today, consumers have all the information they need at their fingertips to find and compare products and prices. It’s never been more important for retailers and brands to provide customers with what they want, at the prices and time they want them. By incorporating 3D design and the voice of the customer into product development and merchandising processes, retailers and brands are better equipped to keep up with demand. You can view a full recording of the webinar here, but continue reading for some of my key takeaways. In the past, retailers and brands would design products that they thought their customer would like leveraging historical data. They’d make the products and hope they would sell. This approach often led to oversupply or stockouts and severe markdowns. Sound familiar? Then it might be time to consider a new approach. Today, retailers and brands are turning the tables in a much smarter way. They are designing and testing with 3D Design tools and with VoC analytics from First Insight before actually producing. After determining what resonates best with the customer, they are able to bring those products to market at the prices and quantities that make the most sense. The result? Fewer markdowns due to oversupply, less stock-outs and cost savings through efficient development of the product. 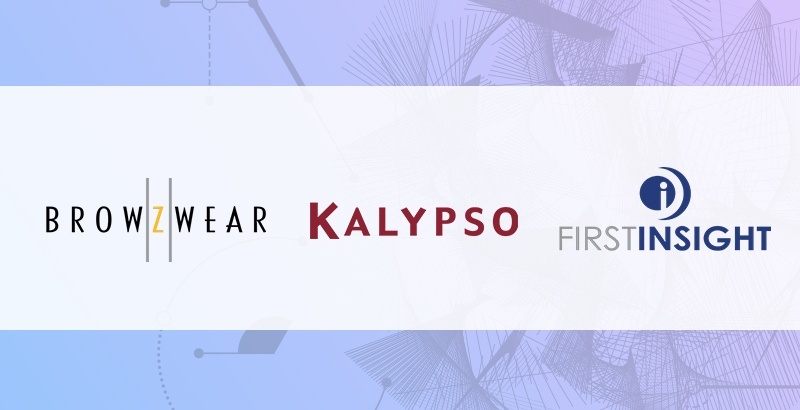 Kalypso, PI Apparel and the Indiana University Kelley School of Business Center for Education and Research in Retail recently distributed their annual Retail Digital Innovation Research. Eighty-one percent of respondents said that 3D design tools are important, and 76 percent are investing now or in the next 12 months. In terms of VoC, 84 percent say it is important and 59 percent are investing now or in the next 12 months. We anticipate that these numbers will continue to grow. Retailers and brands who are not currently building a strategy that encompasses these technologies will fall behind. It’s no longer enough for the industry to rely on historical data and their guts to make decisions. Retailers and brands that are utilizing this technology now are optimizing their product development and merchandising efforts, and those who aren’t considering it yet will be hard pressed to catch up. Interested in learning more? Check out the full webinar to learn how to get started on the path toward Digital Transformation.